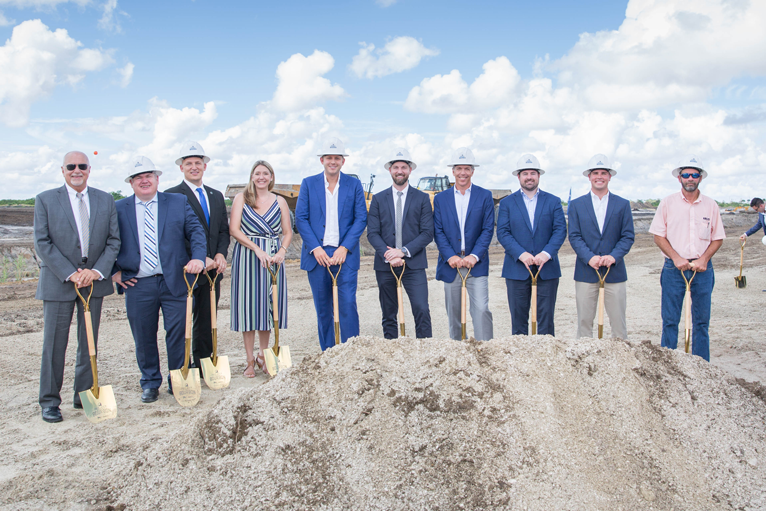 On September 13, ARCO/Murray, along with TAMCO and City Electric Supply, broke ground on a 411,000 square foot office, manufacturing, and distribution facility in Port Saint Lucie, FL. ARCO/Murray is providing a complete design-build solution including architectural and engineering design, permitting, construction. The facility will sit on a 42-acre site and will showcase custom exterior LED accent lighting. It will include 225,000 square feet of racking storage and 125,000 square feet of air-conditioned manufacturing space with assembly space, laser cutting rooms, plastic injection molding rooms, tool rooms, grinding shops, and a state of the art paint booth. The facility will also have a 62,000 square foot, 2-story class A office. ARCO/Murray’s Paul Wagner is the Project Manager and Mark Galindo is the Project Superintendent.